Mastering the Girl Group Reboot: Dreamcatcher's "Chase Me"
Reboots are all the rage these days in the genre of superhero movies. It represents a fresh start, a chance to reimagine a concept which didn’t turn out quite as expected. It’s no wonder that the same phenomenon happens quite a bit in K-pop where many idol groups fade as fast as they appear. Some of these groups may have had potential and highly talented members but for some reason they weren’t able to capture the public eye and were forced to reshuffle and restart. Rebooting, as defined by rearranging a set of already debuted members with members who have yet to debut, happens primarily with girl groups. This is unsurprising given that girl group members are generally treated as interchangeable parts that can be added or removed at any point to serve the main revenue-generating function of the group, which is to gain advertising deals. Therefore, rebooting happens quite a lot with girl groups in order to give the promising members in the original group a second chance at gaining stardom and earning that lucrative advertising money. 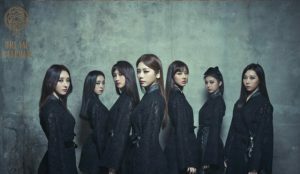 Before jumping into the debut of Dreamcatcher, let’s talk about reboots and what works about them. As I mentioned, the main reason to reboot is to reintroduce the public to the core members of the original group, the members which the company believes have the potential to make it big. But it’s also important to insert new members who can help round out the group. Sometimes finances dictate a relaunch as a group funded by two companies in a joint venture decide to end their partnership. This is what happened when three original members of EXID left the group to form Bestie. Despite being decimated by the split, both sides decided to reload and relaunch. Having retained the former group’s vocal talent in Uji, Bestie rounded out the group by adding a caliber dancer in Dahye. Having lost their main vocalist, EXID gained vocal reinforcements in the form of Solji and Hyerin. 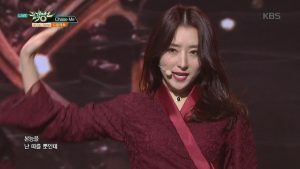 Since then, EXID has become a prime example of what a good reboot can do because it allowed for the group’s prized possession in Hani to eventually get discovered and bring about the group’s explosion in popularity. The same joint venture split happened to Hello Venus and forced the group to lose two prominent members. Instead of folding, Fantagio relaunched the group with three new members and a complete change in concept, going from friendly and innocent to collaborating with Brave Brothers. Although the facelift didn’t bring about the rapid success of EXID, it has allowed Hello Venus to regain most of their popularity and has kept their most valued assets in the spotlight. Then there are groups which completely fall out of the limelight only to return after a long hiatus with a completely different lineup. Brave Girls may share the namesake of the original group but all of the group’s original members but one are now gone. BP Rania has lost all of its original members but continues to preserve the namesake of its original group despite the added acronym. April has ditched the namesake of its original group yet it currently retains two original members of Puretty. The prize here seems to be Somin who has debuted in her third group as a member of K.A.R.D. Of these three groups, it seems that April has the right idea in completely shedding its original identity while continuing to promote its high value members. Dreamcatcher seems to have the same idea as April in starting fresh with a new name despite retaining all five of the original Minx members. 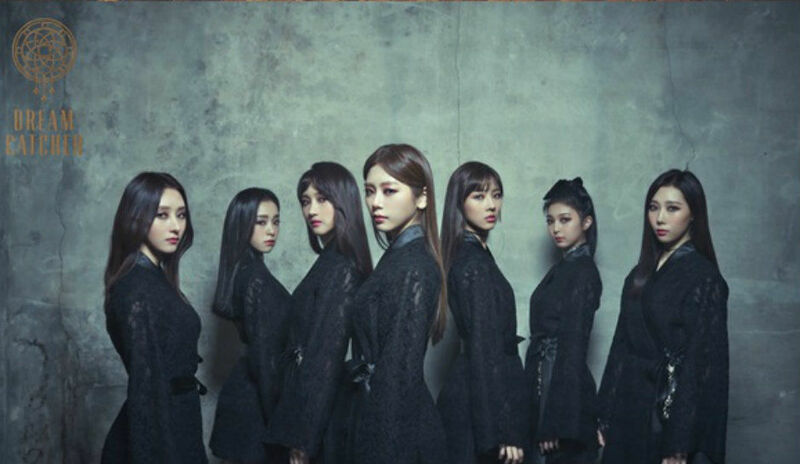 Unlike April, they’re taking more chances by going in a completely different direction from their original group concept. In tow with Hello Venus’ distinctive transformation from a concept of safe to edgy, Dreamcatcher seeks to carve its own path with a commitment to concept that’s hard to find in any other group. Already being deemed as the female version of VIXX, it’s hard to argue that everything from the cinematography and styling of “Chase Me” doesn’t jump out as inspired. The cinematography takes its cue from the Korean horror genre, clearly drawing inspiration from Whispering Corridors and A Tale of Two Sisters. Shots of the members as ghosts playing tricks on the male character’s psyche has me writhing in discomfort and feeling all sorts of bad for him. Incorporating horror tropes such as witchcraft, voodoo, and the vengeful ghost, this MV aims to instill in the viewer a fear of swirling lights and dimly lit hallways. My only complaint is that the song and the dance cuts displayed in the MV don’t quite resonate with the atmosphere and the mood of the cinematography. In that sense, I almost wish that they had cut out the dance sequences and released them separately in a dance version MV, leaving more room in the story version MV to further develop the plot and illuminate the great camera work. “Chase Me” sounds like it could be the opening theme of an anime and its intensity serves to add a sense of urgency to the plot. However, given the subject matter, I’m not sure if its quick pacing is perfectly suited for the patient build-up that’s required of a ghost story. Overall, this passionate debut of Dreamcatcher was well worth the wait. I’m very content with Happy Face Entertainment taking Dreamcatcher in this direction and to fully reboot the original group. As with any reboot, the purpose is to display the former members in a new light and give the truly talented members a second chance at gaining recognition. In the case of Dreamcatcher, the member with the most star potential is likely vocalist Siyeon who first caught my attention with this dolphin note ad-lib when she debuted as a member of Minx. Readers, are you excited for Dreamcatcher? Which groups do you want to see rebooted? Who’s patiently waiting for The Ark to reboot?